I LOVE fresh produce and since it is spring time, I am loving on all things asparagus at the moment. Do you love asparagus as much as I do? I can’t get enough of it! I am always looking for new and exciting ways to incorporate it into my meals and today’s recipe is nothing short of fabulous! This recipe is adapted from one of my favorite Food Network chefs, Giada. I always enjoy her recipes and couldn’t wait to give this one a try. I altered it to my flavor preferences and the end result was fabulous. I seriously ate this for lunch and dinner for two days straight. I couldn’t get enough of it. 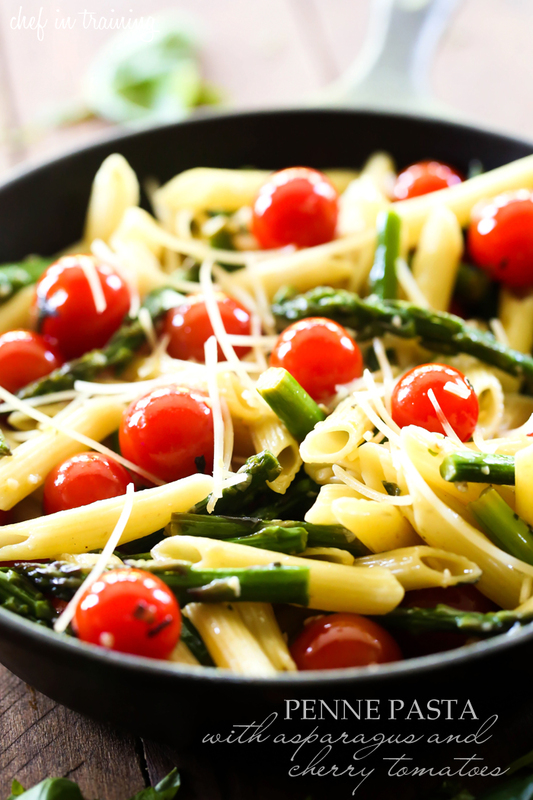 The asparagus and cherry tomatoes provided a nice burst of flavor and crisp texture to the perfectly cooked pasta. 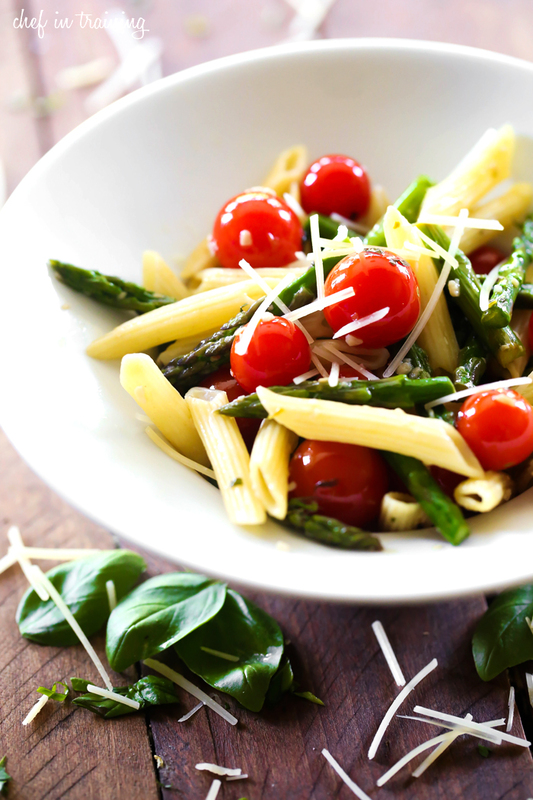 The sauce is light and refreshing and creates a meal perfect for this gorgeous spring weather! This recipe is super light and packed with flavor! It is the perfect meal for spring time! Prepare pasta according to package. In a large pan over medium heat add oil, garlic, and asparagus, salt and pepper. Cook until the asparagus is slightly tender. Add tomatoes and cook another 2 minutes. Add pasta and cook for 1 more minute. Remove from heat and add Parmesan and basil. Serve.